Central air ducts are a breeding ground for mold, pollen, bacteria, and other contaminants, and repeated exposure to polluted air may exacerbate allergies, asthma, headaches, eye irritation, and respiratory conditions. 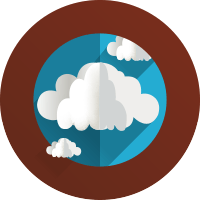 At Cornerstone Pros, we provide duct cleaning and sanitizing that affordably improves indoor air and creates a healthier home or business environment. In addition, duct cleaning improves airflow and increases HVAC efficiency—which saves you money and lengthens system lifespan. 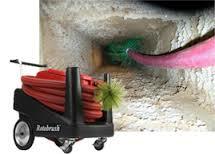 Duct debris and particulate removal using the ROTOBRUSH® advanced cleaning method. Application of a hospital-safe airborne germicide duct sanitation fogging that eliminates pollutants where they breed. Trained in the latest duct cleaning and sanitation methods, Cornerstone technicians recommend filtration methods that remove indoor contaminants and improve overall indoor air quality (IAQ). For priority scheduling of duct cleaning and sanitization services, or to inquire about IAQ services in Tampa, Seffner, Brandon, Valrico, Land O’ Lakes, Wesley Chapel, Lutz, Zephyrhills, Dade City, Hillsborough, Pasco, Hernando, Newport Richey, Port Richey, Trinity, Clearwater, Pinellas, Safety Harbor, Oldsmar or Keystone., call or email our team of experts.